Love it! Great work on colours. NEW HUD & 3D HEAD PACK! The missing 3D head in the picture is of her vanilla Phoenix skin, which is already included in the game. 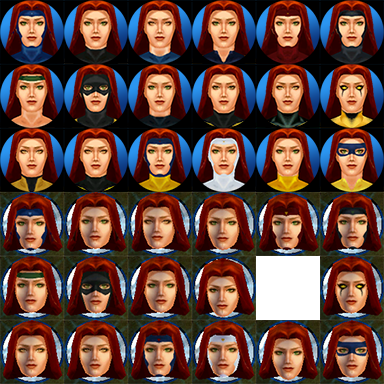 A collection of huds & 3D heads for Miss Jean Grey, who is probably the character with the largest number of skins ever made, so nothing more fair than lots of huds & 3D heads to go along with them! You can find it under the huds section. 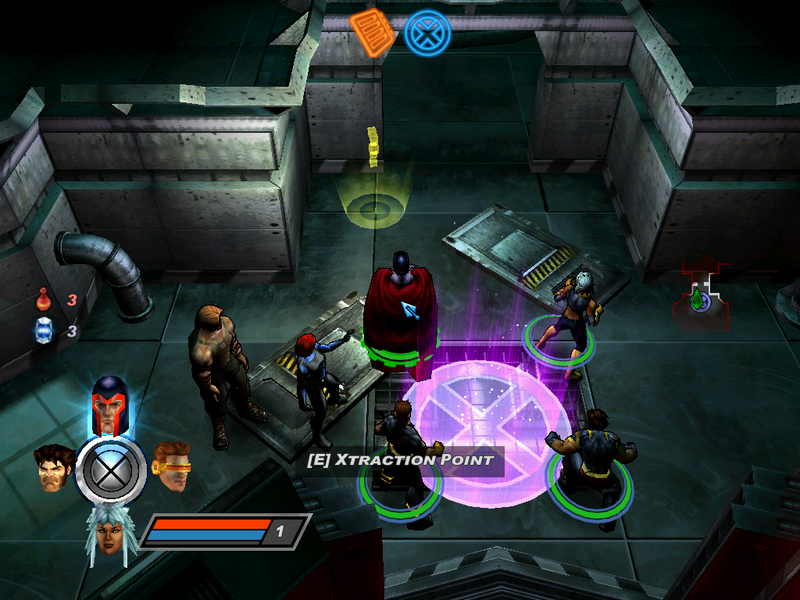 - Addition of Xtraction Point to the first area. - Removal of Activision, Marvel, Raven, Beenox, Alchemy and Sofdec movies. - Removal of intro cutscenes. 1. The portal works for going from the Prison Outpost to the Sanctuary, but not the other way around. I don't really see a reason for doing it, so it's not much of a big deal. 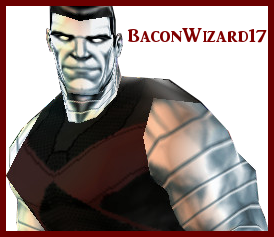 - BaconWizard17: without his request, the XML2 version of this mod wouldn't be a reality; thanks for reminding me that XML2 deserves some love too! - brandonmeek: coding for activating portal anywhere and adding Xtraction Point to the first area. 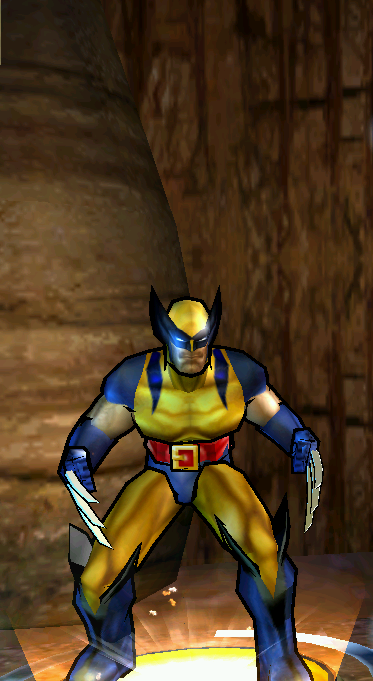 TomatoisJP's Original Wolverine skin now available for X-Men Legends II! 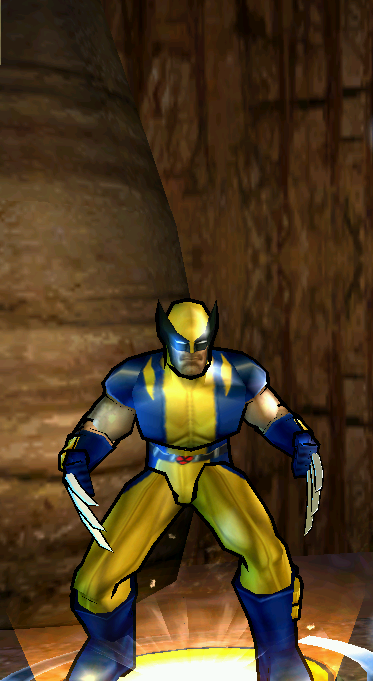 If you want a cel-shaded model, though, you could either use Professor X or Zealot Minion. 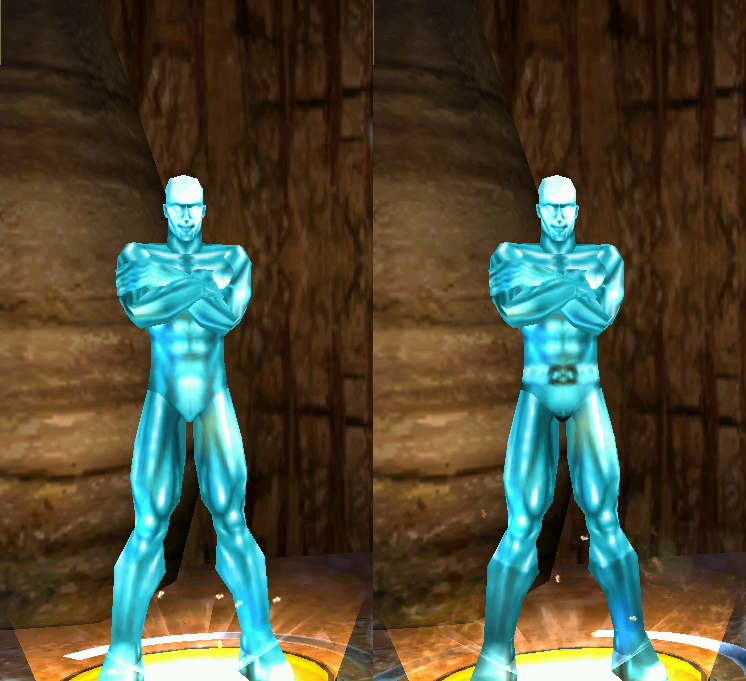 Nah, my friend, it was really hard to get this one done (I reskinned like 25% of it lol), imagine reskinning an entire model... good idea nevertheless.